We are so lucky to have this prestigious doe in our herd. She comes from such strong and consistent show lines and is one of the best producers in out herd with incredible milk components. 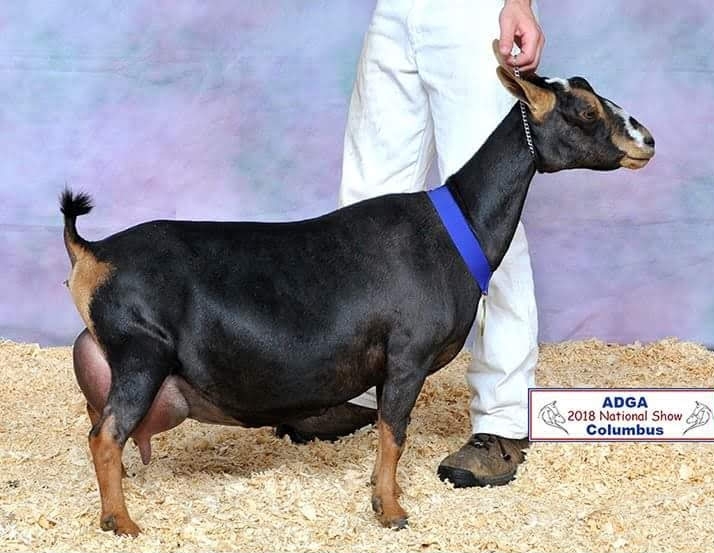 Her dam Anahita is a powerful doe that really shows how the Nigerian breed has become truly dairy. Her sire Bold Elk was name the 2018 ADGA Premier Sire and his daughters are truly some of top does in the nation. Anahid's litter mate sister Merriment was National Champion in 2017 and her paternal sister Shy Elk was Reserve National Champion in 2018! We have retained both of Anahid's 2017 doe kids and a spring '18 buck kid from an AI breeding to line breed on Old Mountain Farm genetics. Anahid is giving us a solid foundation for what we want in our herd!